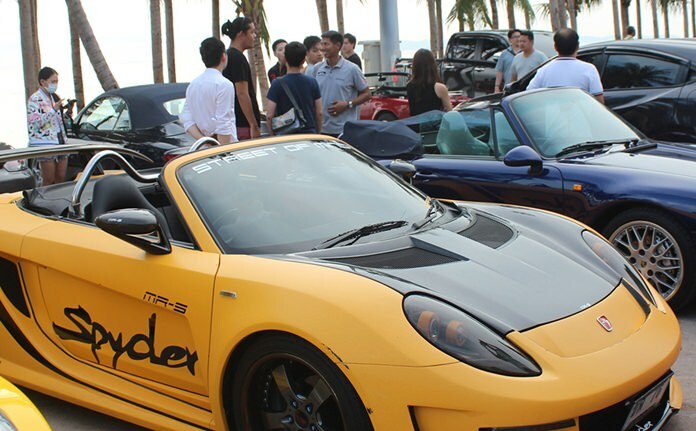 Thirty high-end sports cars worth millions of baht rolled into Pattaya for the Cabriolet Thailand motor show. Club President Atchananat Sriphaporn opened the April 29 exhibition on Jomtien Beach held for Cabriolet and SLK car club members to show off their pricey sports cars, including numerous Mercedes-Benz, Porsche and BMW models. Jo Klemm talks with Atchananat Sriphaporn about the similarities between sports cars and classic cars. Held over the busy Labor Day weekend, the show’s attendance exceeded expectations. Tourists snapped photos and dreamed of racing their own cars down Thai highways. 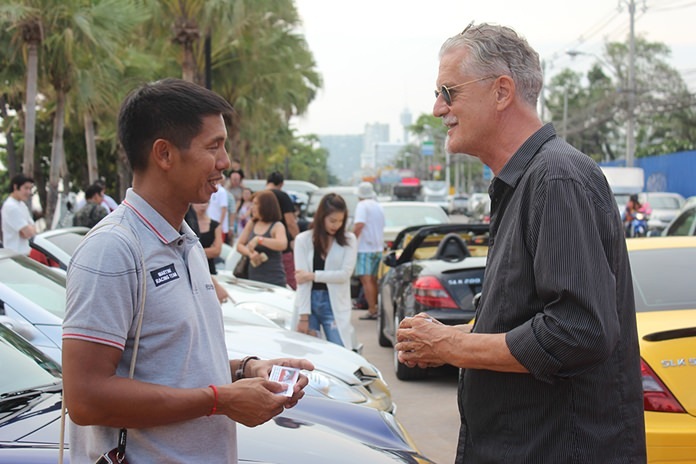 Jomtien businesses also appreciated the show, as it brought many people out to eat, drink and shop. 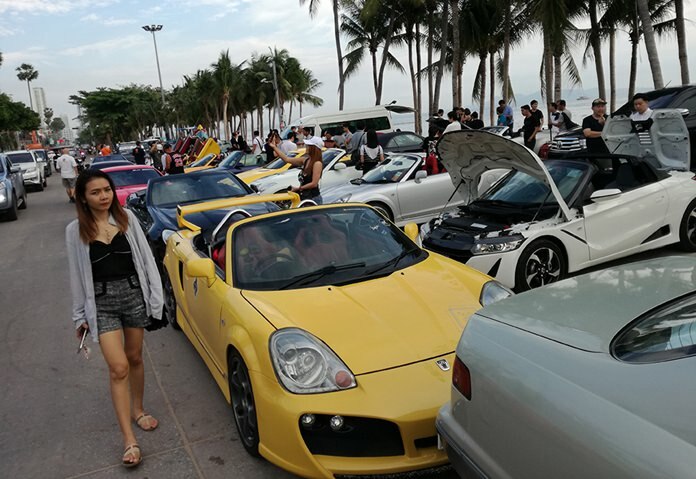 Cabriolet Thailand Chairman Atchananat Sriphaporn (background, center) along with members of the club and the SLK alliance network, put their expensive autos on show in Jomtien. Lots of bling on display.